Emerald cut diamonds make up just 3% of the world’s diamonds, making them very rare and quite unique. We happen to be very knowledgeable about emerald cut engagement rings and because of this many of the inquiries we get are about square shaped or emerald cut diamonds. There’s no doubt about it, emerald cut diamonds make a classic vintage statement. 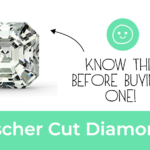 We love it when people ask us about what constitutes a perfectly cut diamond and we then explain the details of how emerald cut, square cut, brilliant cut, asscher cut diamonds and more are cut. 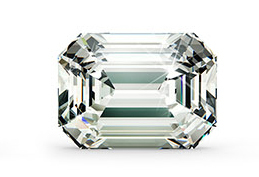 A 2- carat emerald cut diamond has 5% more surface area (a larger table) when compared to a 2- carat round cut diamond. Everything else being equal, including the carat weight, the top surface area of any size emerald cut diamond appears larger to the naked eye. 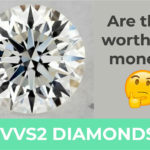 The significance is that you can get a larger looking diamond for less money. Emerald cut diamonds have an elongated shape, making your fingers appear longer and thinner than they actually are. This may be something you’re trying to achieve, or not. But, long slender looking fingers gives an individual the appearance of elegance and class, if that’s of any interest. 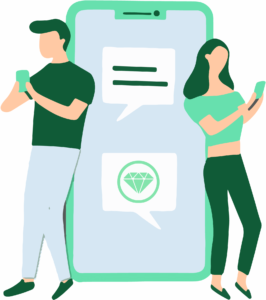 If you want to know the exact length and width of any of our emerald diamonds we have those measurements listed in our search engine. To find the ratio, just divide the length by the width. The ratio will tell you how wide or narrow that particular diamond is. The higher the length to width ratio, the longer and thinner the diamond is. 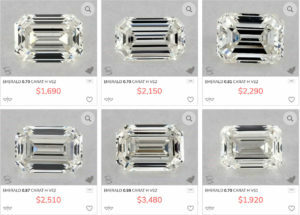 Many customers prefer the ratio to be somewhere between 1.20 and 1.80, but I believe the ratio for an emerald cut diamond should be at least 1.30 and no more than 1.60. 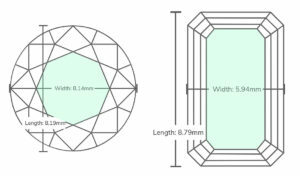 If I were in the market for an emerald cut engagement ring, the diamond I would ideally want would have a length to width ratio of no less than 1.33 and no more than 1.50. 4. 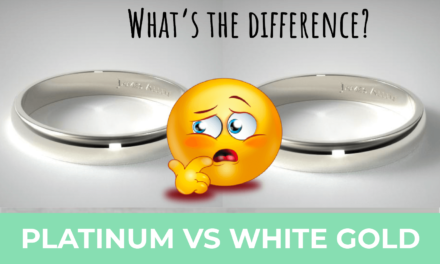 A Ring With an Emerald Cut Diamond Will Cost You Less! Well, you certainly can’t argue with this advantage! Engagement rings with emerald diamonds will be less expensive than the other rings you look at. 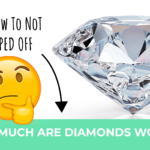 This diamond shape is certainly more rare than other cut diamonds, but because they’re not as much in demand, they cost less. You may be able to buy an emerald cut engagement ring for 15% to 25% less than you would spend on an engagement ring with a round diamond of the same carats. This is something you need to be aware of. 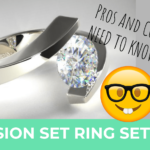 When looking closely at emerald cut engagement rings you can notice the imperfections more easily than if the rings were set with a round or brilliant cut diamond. It is important that your jeweler thoroughly inspects the diamond before you make a decision. 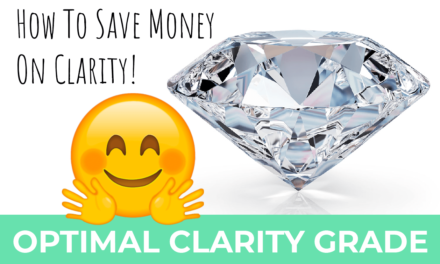 Since you’re going to be saving money on an emerald cut engagement ring anyway, you might want to put that savings towards a diamond with better clarity. Avoid any consideration of S12 emerald diamonds because you will be able to see the inclusions with the naked eye. Emerald cut diamonds reveal their color more easily than other diamond shapes. 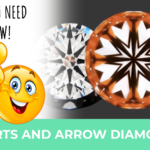 All diamonds of any cut that are in the colorless ranges of D-F are the same exact color. 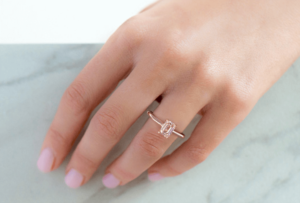 However, if you have an emerald cut diamond in one of the low-color ranges of H-K, the color will appear slightly warmer or a little yellowish. 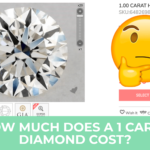 If you want an emerald cut engagement ring, but you don’t want the diamond to appear warm in color, then select the color grade as if you were buying a round diamond. An emerald cut diamond has a more subtle sparkle than other cut diamonds because they are cut differently. Most diamonds on the market are brilliant cut and as the name implies they sparkle brilliantly. An emerald diamond is cut to show flashes of light rather than sparkling all over. This is referred to as the “hall of mirrors effect” and it is achieved through what’s called a “step cut.” There are flashes of bright white light in contrast with the dark planes that appear with each step. But, even an emerald step cut diamond should sparkle brightly at the corner edges. Beautifully cut emerald diamonds will show bright flashes of light in the center while the edges sparkle. 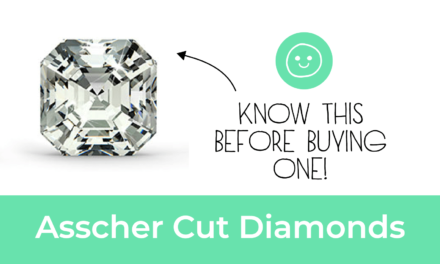 It is vital that your jeweler understands the specs for a top quality emerald cut diamond. The table below should be of some help in narrowing down your options. 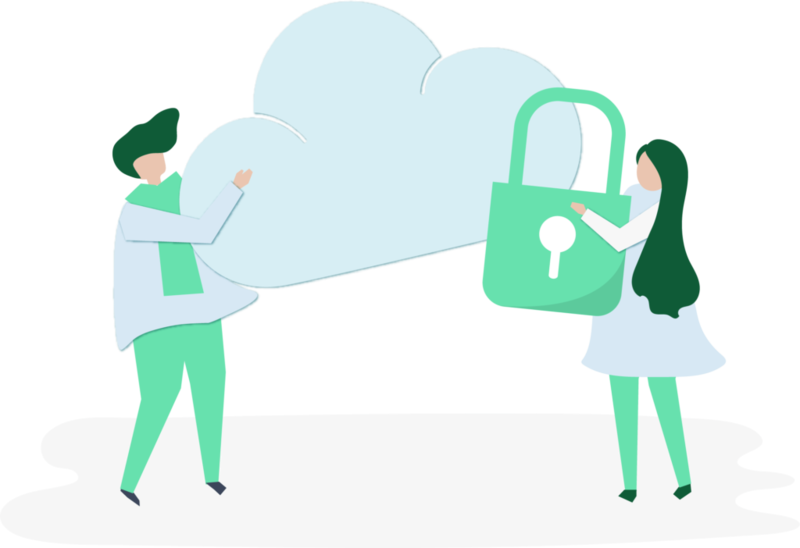 But, in no case should you ever purchase an emerald diamond based only on its certificate. Find someone you trust that can make a visual inspection of the diamond before buying. Make sure they have a good eye and a thorough understanding of diamond grading well beyond the numbers printed on the certificate. The rectangular “emerald cut” actually describes the cut that was developed for emerald green gemstones. Emerald cut sapphires and emerald cut moissanite are also available and quite affordable compared to the cost of emerald cut diamonds. For more information on these options, see the blog I posted on affordable engagement rings. 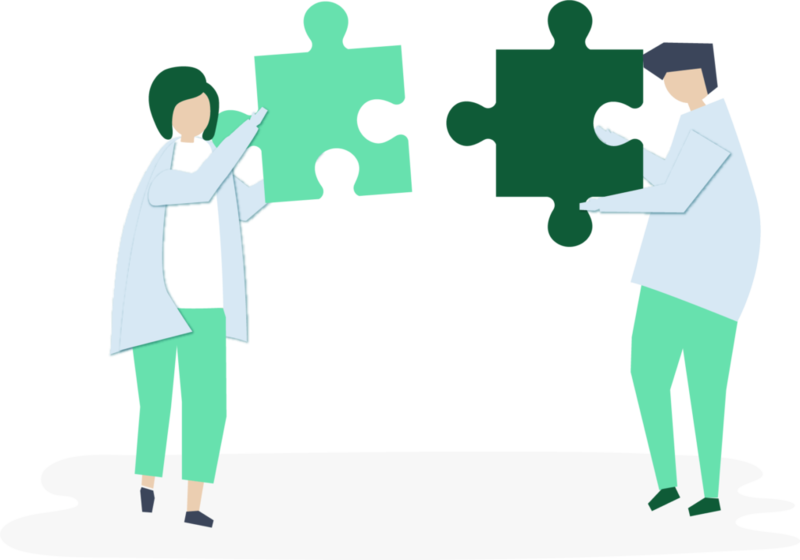 Please reach out to us if you want to discuss this further. 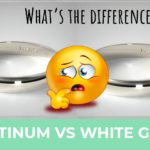 You should have no problem going online to buy an engagement ring. But, you do need to pay special attention if you are looking for an emerald cut diamond. 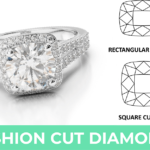 It’s vital that your online jeweler has the background and knowledge needed to fully understand the specs that make for a beautiful top quality emerald cut diamond engagement ring. 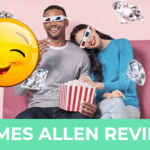 Don’t forget to ask for a close-up highly detailed photo of the diamond, as provided by online vendors such as James Allen who has a large selection of emerald cut diamonds. Having high resolution pictures and 360-degree videos is the only way you will truly know what you’re purchasing. If you would like to speak to me about your engagement ring, just message me. I would be honored to help you find a gorgeous emerald cut diamond in your price range! 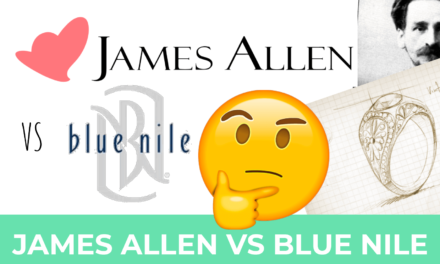 PreviousJames Allen Vs Blue Nile – Which One Is The Better Choice?